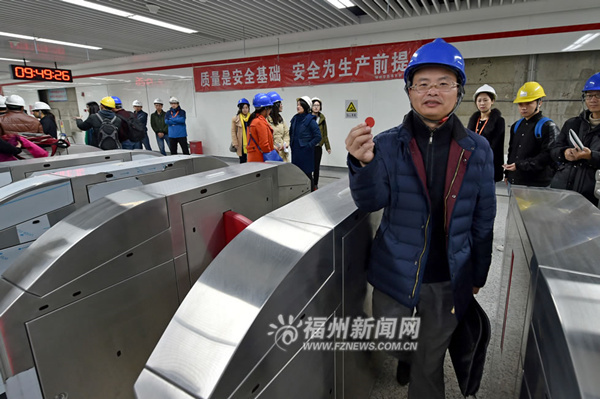 The first subway in Fuzhou, Fujian province began passenger-free test operations of its southern section on Dec 30 in preparation for the official trial run, which is scheduled for the first half of 2016. The 30-km Line 1 stretches from south to north and includes two sections. The first section of Line 1 runs from Xiangfeng Station to Fuzhou South Railway Station, and includes 21 stops. The second section extends to the city's eastern area with four stops. 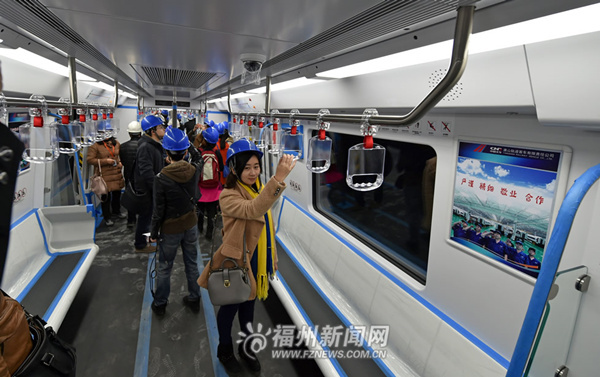 The Fuzhou subway will have an average speed of 35 kilometers per hour and it will take about 40 minutes to travel the whole line. Each train is comprised of six railcars, with 256 seats in total, and can hold a maximum of about 1,000 passengers. The first test operation ran along the southern part of Line 1 for nine stops, from Sancha Road Station to Fuzhou South Railway Station. The test runs will last for more than three months; after that checks will be carried out before the line opens to traffic. Once the metro is officially launched, trains will arrive every 5 minutes initially, and the intervals will be adjusted to fit the traffic situation later. A public hearing on metro fares will be held after the Spring Festival to determine the pricing model.